This classic shaker style kitchen range is similar to our Classic Kitchen range. The Classic Painted range differs in that doors and cabinets are finished with a wide range of colour options which can be mixed and matched creating a timeless space that never goes out of fashion. This kitchen style is at home in a traditional property or equally, when fitted in a new home, can create that country style kitchen you have always wanted. Take a look at our most popular Classic Painted Kitchen ranges below – if there is a particular range you are looking for please contact us and we will aim to accommodate your kitchen needs. Contact us today on 07791 668237 or email us for a FREE consultation and take your first steps to your new kitchen! Contact us today on 07791 668237 or email us for a FREE consultation and take your first steps to your new kitchen or bathroom. Relax. We have over 20 years experience – kitchen and bathroom design is second nature to us. 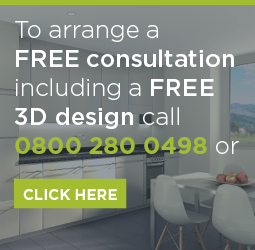 We design your space BEFORE you decide to go ahead with the latest 3D programmes and it’s all FREE. We look over the smallest detail and make sure it’s right so every customer is 100% happy! Relax. We do projects for all types of people, houses and budgets so we’re used to project managing! Join us on social media to keep up to date on offers throughout the year!